Finnair needs to attract customers from emerging markets and give added value to transit customers. 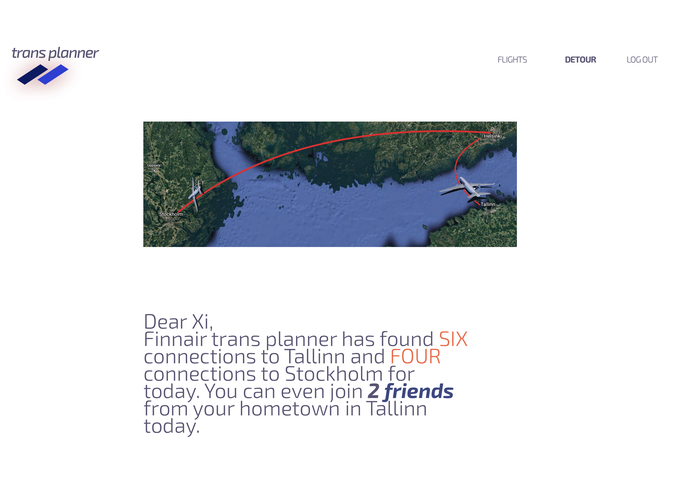 Some customers get premium experiences, but other customers could use more personalized information and guidance during their stay in Helsinki or during Transit. We have decided to build a scenario that nudges them towards new destinations based on customer profiling. The web application TransPlanner is aimed at the current and potential transit passenger via social media advertisement. The application includes additional information about their transit point, and we analyze the social media profile to do a similarity comparison and to offer personalized suggestions for travel locations based on friend preferences, active events and popular destinations among the target cluster. Out team used promising machine learning approach to cluster facebook users. Regarding the UI part, we employed Angular5 for views and front-end logic, Node.js to serve these views, GoogleAPI to show the results on the map, FacebookGraphAPI to login, Sketch for building the UX, Python for data preprocessing. We had different views of the product and a variety of ideas which were hard to combine into a unified vision. Development was also hard to integrate together due to different services. We did combine our ideas in a somewhat new concept. We gained a lot of experience with JS techology stack, as well as lean methodology of project design. 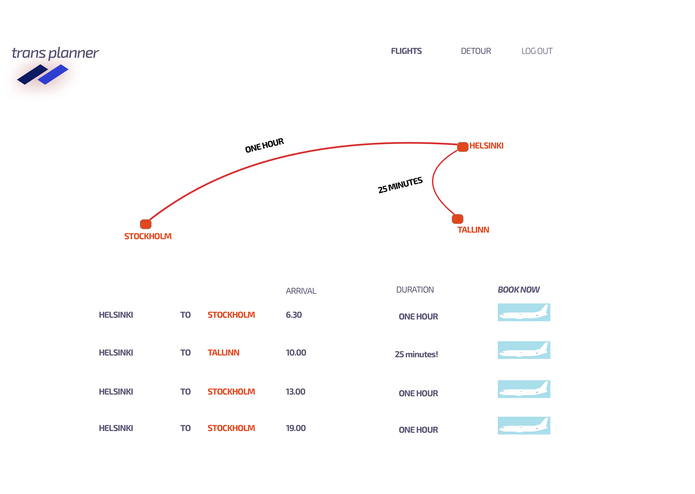 We also learned to analyse Finnair's problems and possibilities to solve them. We'd love to finish it into a polished product and start a discussion to continue collaboration with the company. I worked on the backend Node.js app and the frontend Angular app. Also, I worked on Facebook integration through both apps. I worked on the front-end side, as well as investigating a bunch of services like TripAdvisorAPI, last.fm API and AccuWeather widgets. I set up angular structure and cerated some mocks. I did research on the company and developed the marketing idea for the team. Was the one constantly torturing the Finnair guys with questions. Organized the presentation part. Also probably going to be the pitcher. I worked on the scenario development, UI & UX aspects. As a designer, I was developing the backstory. 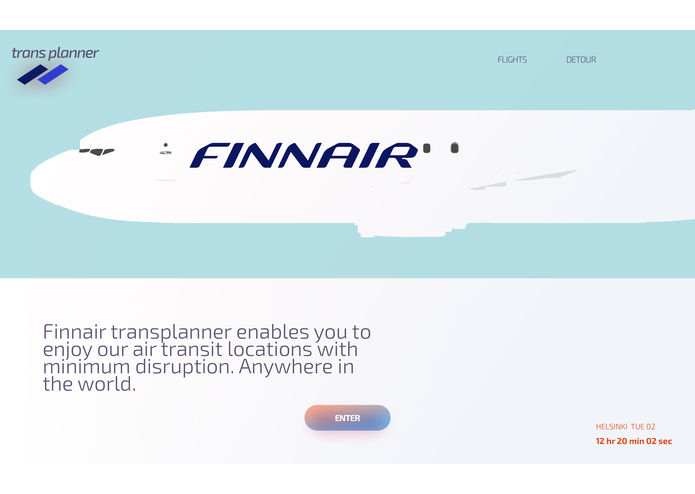 I tried to balance human centred empathy and GDPR responsibility while being positioned for the Blue Ocean markets - I tried to converge these themes into Finnair's subtle & unique brand experience. 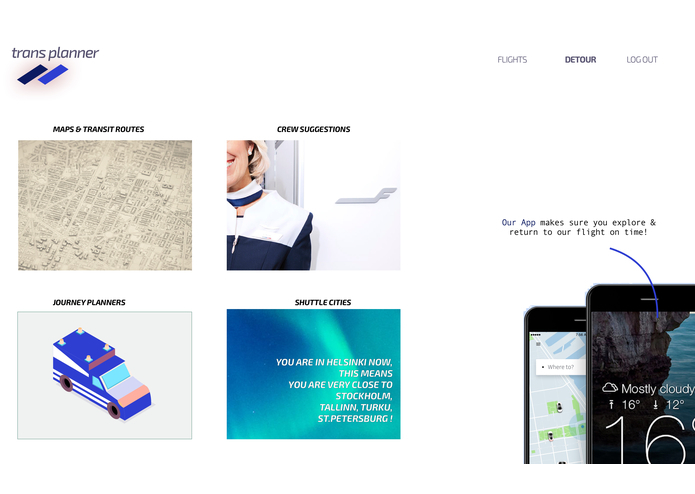 Designer with an intentionally diverse portfolio ranging from services, interactivity, human factors, audio visuals to VR.